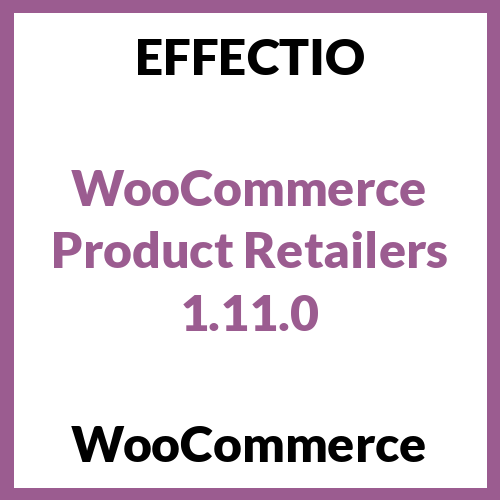 WooCommerce Product Retailers plugin allows customers to purchase external products directly on your site, or from a selection of retailers. Add retailers/distributors and assign them products. Set a unique link for each retailer/distributor globally or on a per-product basis. List multiple retailers for each product. Supports simple and variable products. Customize the text for the “Purchase” button. Optionally make a product purchasable only from the retailer/distributor. Use buttons or a drop-down menu to show available retailers. Add your retailers or distributors quickly and then assign them a default link. After they’ve been added, you can assign them to products and set a unique URL per product. This is useful to link the product directly to the related product on the retailer’s / distributor’s website. You can now also use buttons rather than a drop-down menu to display retailers to your customers by simply clicking “Use Buttons” while creating your product. You canopt to only show retailers when your product is out of stock, letting you generate referral revenue instead of backorders! This allows you to sell products directly, or generate revenue via your affiliate / referral links with other retailers (such as Amazon). Give customers purchasing options without losing out on revenue!